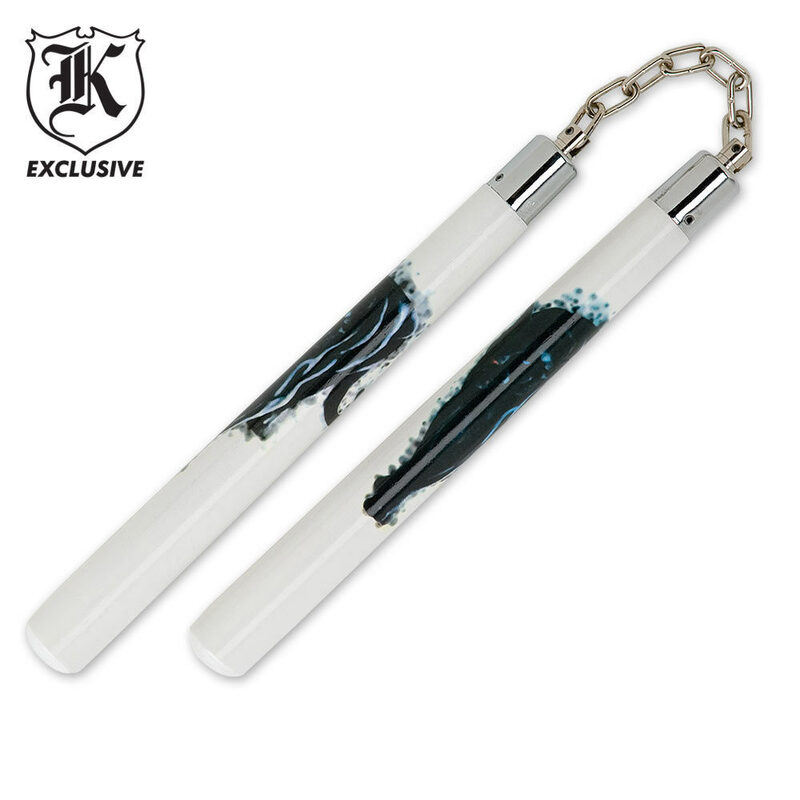 The Leopard White Nunchakus are elegantly designed but extremely effective. You just can't have a complete collection without these nunchakus. They are made of solid white lacquered hardwood with an awesome leopard design. They have precision swivel bearings and stainless steel caps. Each handle is 12" in length. Feel amazing, the leopard detailing is not a sticker, and looks amazing. The bearings run very smooth, and the chain is strong.